Sasaki Time: Giveaway: Main Street Electrical Parade Mug + Starbucks Gift Card! 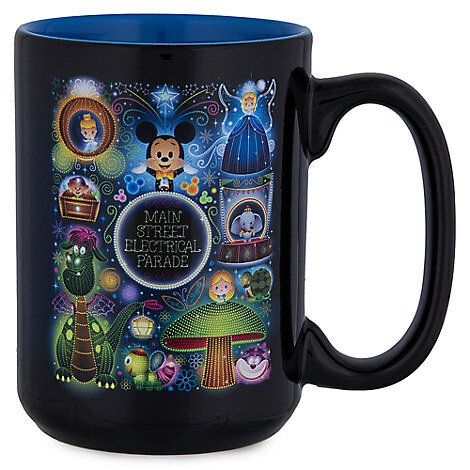 Giveaway: Main Street Electrical Parade Mug + Starbucks Gift Card! Win this super cute Main Street Electrical Parade mug created by Jerrod Maruyama who also created the Sasaki Time mascot Lil Oishi!!! This giveaway is open worldwide and the winner will be notified by email! Cheri A: EP is my favorite parade. So many memories of watching it as a kid with my family, as a cast member and with my nieces. I haven't seen MSEP yet, we will in July. So far my favorite is the Pixar play parade. Thanks! My favorite Disney parade is the one they have at Disneyland because I saw it first one when I was a little kid. I don't really have a favorite parade. I have never seen a Disney parade before. I like the Electrical Parade the best because of the music and lights. Paint the Night is my fave! My favorite is Disney's Festival of Fantasy Parade because it was a lot of fun to watch. I don't have a favorite Disney Parade. The Main Street Electrical Parade is my favorite because I love seeing all the beautiful and colorful lights. My favorite Disney Paradethe is Main Street Electrical Parade because i like it and Main Street Electrical Parade is popular. Spectromagic :( too bad it's gone. Main Street EP is my second fav. Have not been to Disney in over 10 years. What I remember Epcot. My favorites are the Disney Parks Christmas Day Parade!